Gunn may be gone, but his story will go on. Gunn helped to make the Guardians franchise one of Marvel Studios' beloved properties by infusing the space opera with his singularly quirky comedic sensibility. Before the first film's 2014 debut, speculation had run rampant among industry observers and fans alike that it would constitute Marvel's first major flop, being based on a virtually unknown team of galactic heroes whose members included a sentient tree who can only speak three words and a gun-toting anthropomorphic raccoon. Instead, the film blew up the box office, won over critics, and made household names out of Gunn and Pratt, to say nothing of Groot and Rocket. 2017's Guardians of the Galaxy Vol. 2 made even more money and was nearly as acclaimed, and Gunn was all set to drop the third and final installment of his trilogy in 2020. But last year, the director found himself in hot water with Disney, Marvel Studios' parent company, when offensive tweets which we had written nearly a decade prior were dragged out into the light. Despite the fact that the Guardians flicks had grossed a combined $1.5 billion worldwide (and that Disney had to have known who they were getting when they hired Gunn, who began his career with the infamous Troma Entertainment), Gunn was promptly canned from Vol. 3, and the film's production was indefinitely delayed. It became known shortly thereafter that Gunn had completed a script, and speculation ramped up immediately over whether Marvel would shoot it, commission a new script from another writer, or even cancel the film altogether. 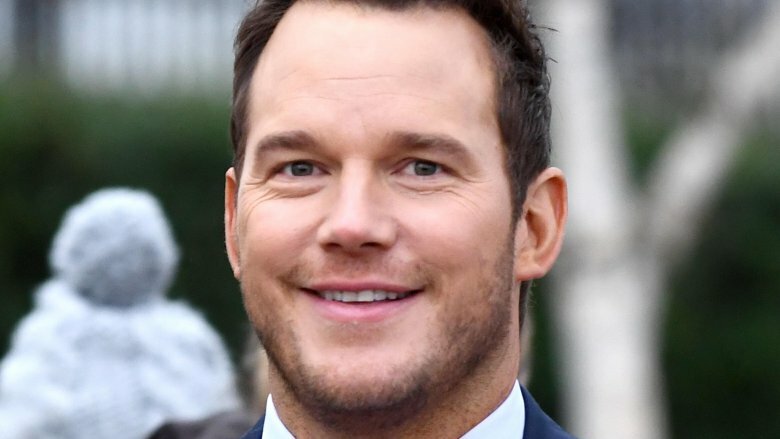 Pratt put an end to that speculation with his recent comments. Asked point blank if the production was working from Gunn's screenplay, Pratt answered in the affirmative and also confirmed that he'd read it. "It's off the chain," he said. "It's so good." He went on to elaborate a bit on his feelings toward moving ahead with the project in Gunn's absence. "I love James. I'm loyal to James, and I love him so much. And we're gonna deliver [his] movie… we're gonna give the fans what they deserve. And I think it's in the nature of the Guardians of the Galaxy to come together and get the job done, and that's what we'll do." Obviously this is great news for fans of the franchise, although Marvel's choice of director is still firmly up in the air. It had been thought — or, rather, fervently hoped — that Thor: Ragnarok's Taiki Waititi may take over, since the tone of his entry into the MCU fell most closely in line with Gunn's work; that notion, however, was recently shot down by Waititi himself, although he remains open to working with Marvel Studios again. Speaking to a panel during a TCA press tour, the director was asked if he had considered coming aboard the project in the wake of Gunn's firing. "I didn't really. For me, those are James Gunn's films," he said. "Going into something like that with his stamp all over his films, would be like going into someone's house and saying, 'Hey, I'm your new dad, and this is how we make peanut butter sandwiches now.' It feels kind of awkward." As for Gunn, it didn't take him long to land on his feet by jumping ship to rival Warner Brothers and DC. He was hired last year to rework the script for the sequel to 2016's Suicide Squad from the ground up, and it was confirmed late last week that he's in talks to direct that film, as well. That's gotta sting a bit for Marvel fans, but Pratt's comments serve to soften the blow to a degree. Gunn may not be there to guide the production of Guardians of the Galaxy Vol. 3, but at least the story that he'd envisioned for the trilogy will be told, and fans won't have to suffer through a third installment from a hired-gun screenwriter charged with replicating his unique voice (which would have been a near-impossible task anyway). It is still uncertain, however, just how much of the original team will be around for the conclusion to the trilogy. At the close of Avengers: Infinity War, Rocket was the last Guardian standing, with Gamora murdered by Thanos in exchange for the Soul Stone and the rest of the team wiped out in the Decimation (or, if you like, the Snappening). Pratt's Star-Lord is obviously set to return, and Rocket's involvement is also a safe bet (assuming that he survives the events of the upcoming Avengers: Endgame). But even if fan favorites like Groot and Drax fail to make it back from the Great Beyond, we can at least take solace in the fact that the Guardians' story will be wrapped up by the storyteller that made them so special in the first place. Guardians of the Galaxy Vol. 3 is expected to hit screens sometime in 2021; we'll keep an eye out for further details.